When a critical incident happens, a speedy response is key. 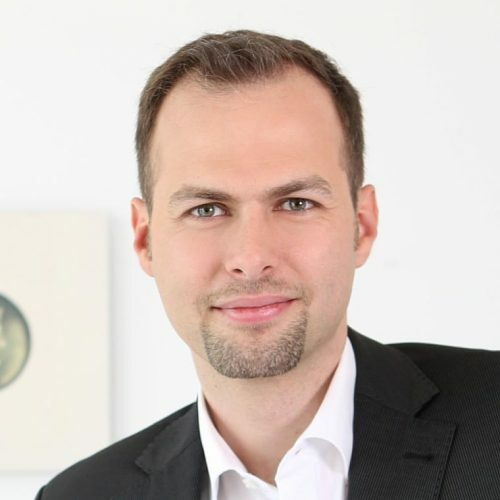 However, analyzing the root cause of an incident is often a cross-team effort and requires spealing to other subject matter experts or engineers of other teams. 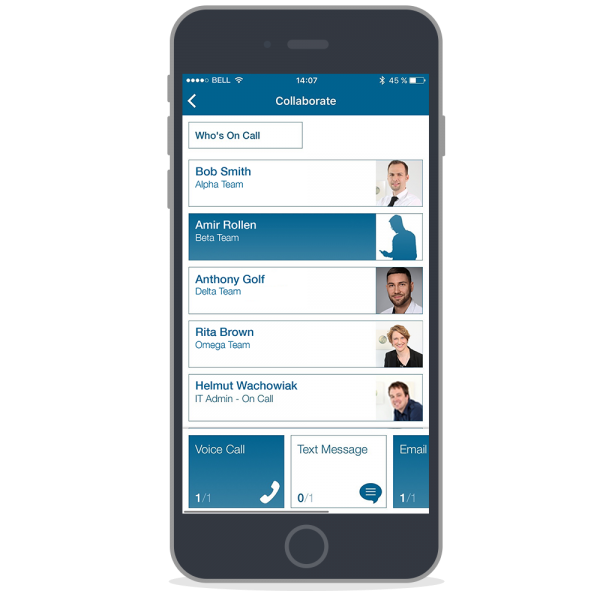 Enterprise Alert provides convenient mobile anywhere access to all people that matter: experts, other engineers on call, managers and even affected users. With a single touch of a button you can connect via phone, chat or text message. No need to scroll directories or search an address book. All contacts you need are easily accessible. When you connect Enterprise Alert to SfB, it automatically registers as a SfB user and create a ChatBot. The Enterprise Alert ChatBot can alert users via IM. The user can now start communicating with the ChatBot and submit commands for alert management. 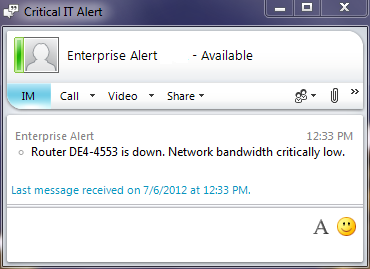 Acknowledgement or Closing of an alert are possible out-of-the-box. The alerted user can also invite other peers and experts to this conversation thus automatically sharing the incident alert with others. 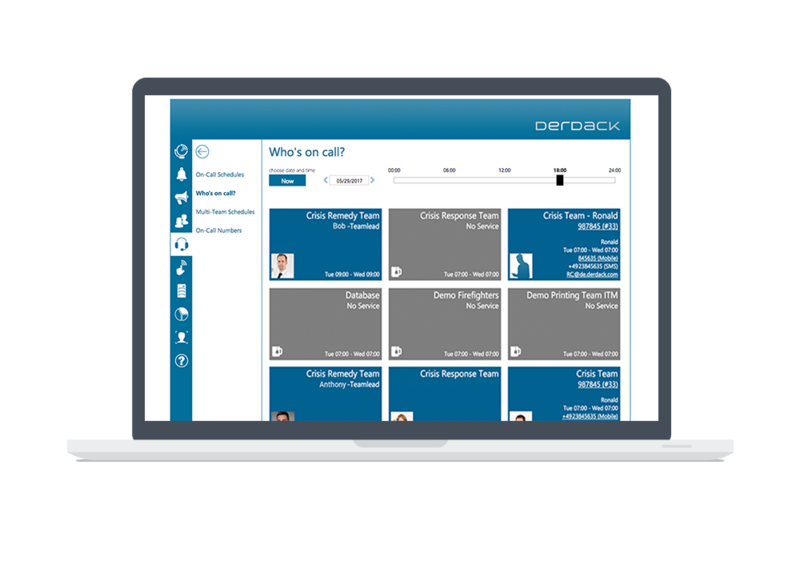 Derdack offers convenient access to who-is-on-call information, e.g. embedded into SharePoint or on mobile device with great one-touch communication options. We know that communication is key to effectively resolve critical incidents, so we do all that we can to make communicating as simple and convenient as possible.